The Staub journey begins in Alsace, France. Rich in history, food, and craft, it is a region renowned for hearty one-pot recipes. 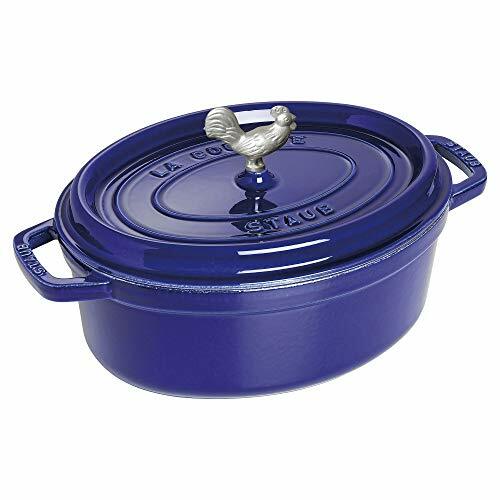 Staub has been producing the best cast iron products for professional and aspiring cooks since 1974. Staub’s French oven is a timeless standby for stews, roasts, soups, casseroles and other one-pot classics. Staub has perfected this tradition in our signature "La Cocotte" French Oven, the choice of some of the world's best chefs. La Cocotte moves beautifully from the stove to your table. With it's classic Rooster handle, this Coq Auv Vin is perfect for poultry.